Many of you know I’ve been using Timberdoodle’s 3rd Grade Curriculum with my youngest daughter and a couple of my grandchildren this year. I’ve been intending to write an update for a couple of months now to tell you how it’s been going. 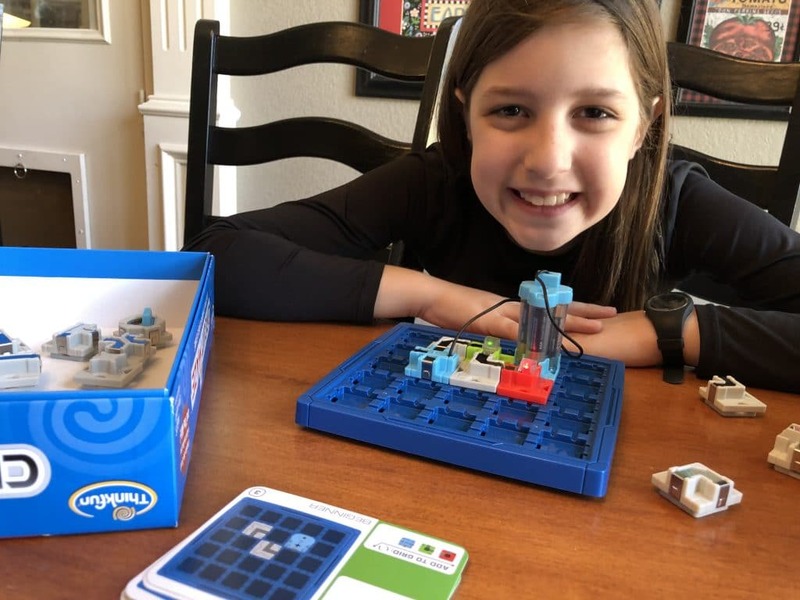 We’re well now, and today I want to tell you about one of my favorite enrichment games in the 3rd Grade Kit. 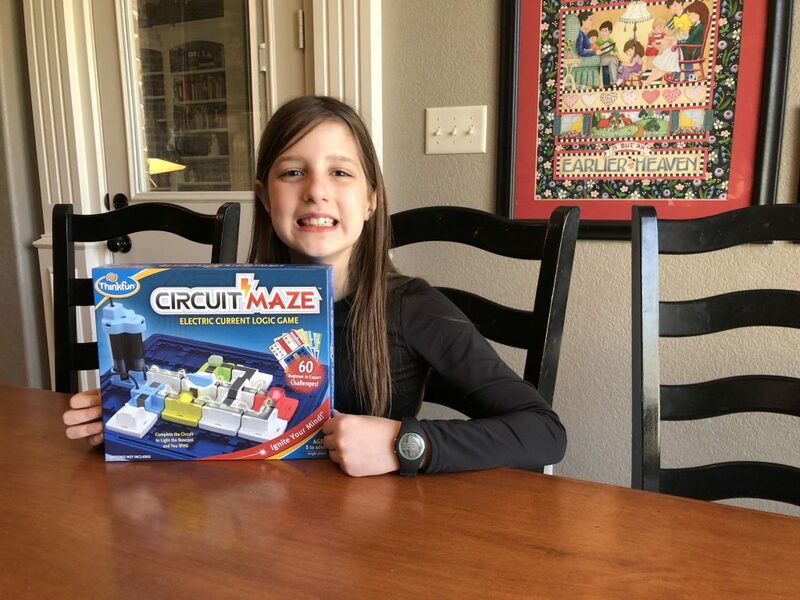 It’s a thinking puzzle called Circuit Maze. … plus nearly a dozen more the company no longer carries. 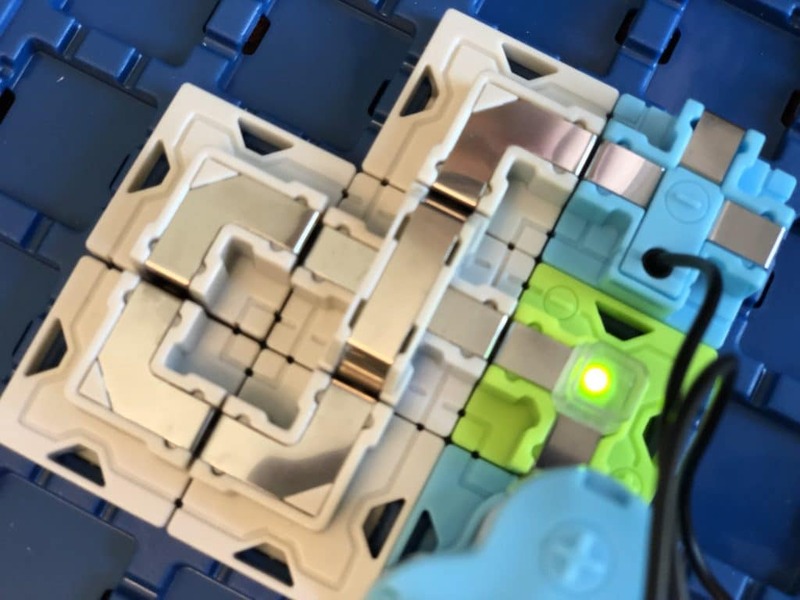 Circuit Maze is a logic puzzle unlike any other. Easy-to-understand game cards illustrate the board’s beginning position and provide a list of parts needed to complete the circuit. All these instructions pictorial in nature, so even beginning readers can use the game. 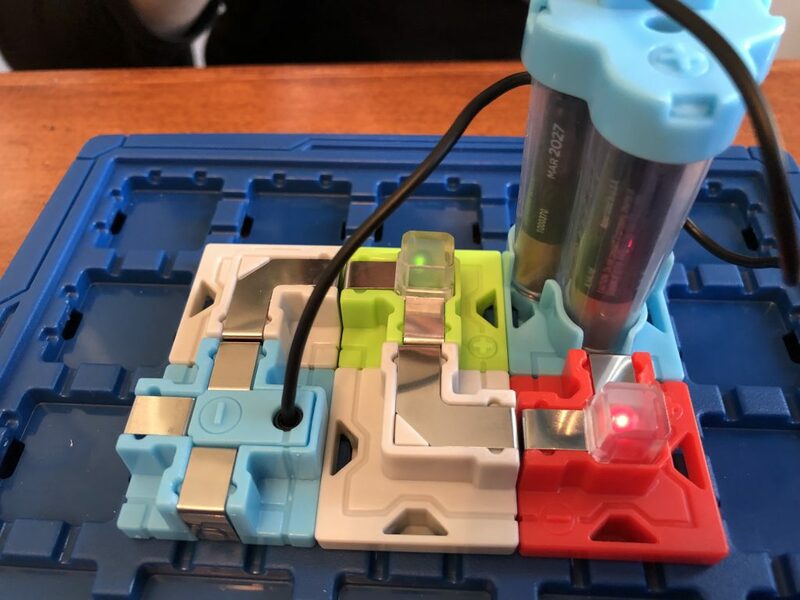 When you solve the puzzle correctly, the circuit is completed and a light comes on to let you know you did it correctly. Immediate re-inforcement! 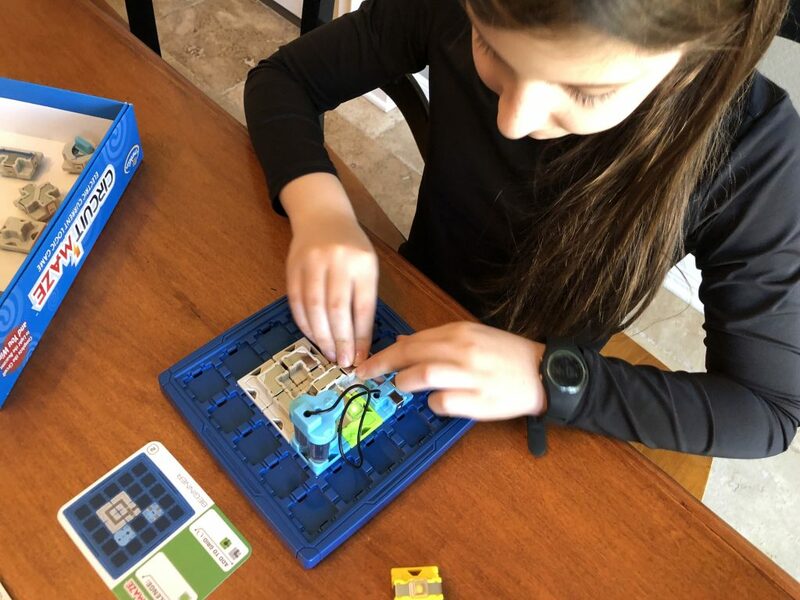 Not only will Circuit Maze hone your children’s problem-solving skills, it will teach them something about the flow of electrical current, as well. The game cards include several different skill levels that become progressively more challenging. Eventually, your child will be completing complex puzzles with switches, parallel circuits, and sequenced lights. It’s a great concept and is well-executed. The chunky parts look as if they’ll hold up to lots of handling, and even the sturdy storage box seems built to last. I love that fact. 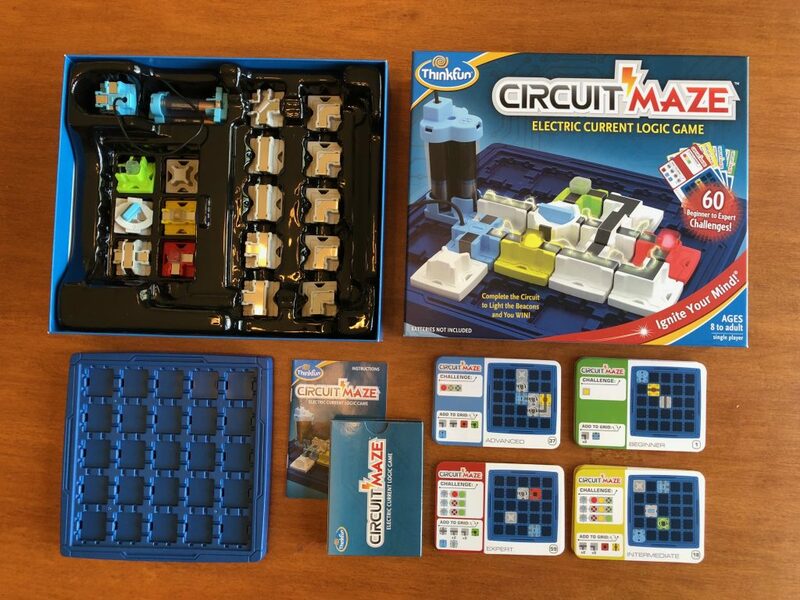 As I mentioned before, Circuit Maze is part of Timberdoodle’s 3rd-Grade Curriculum Kit. It can also be purchased separately as a stand-alone product. 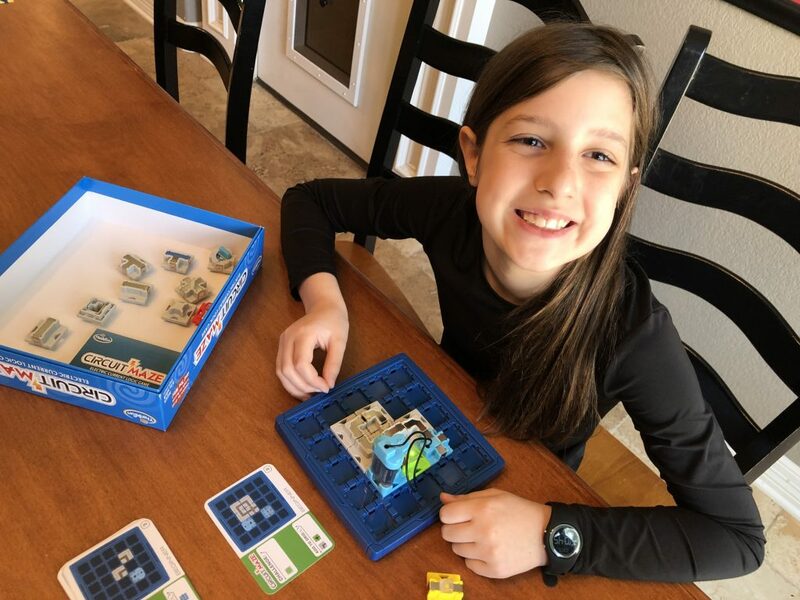 If you have a budding engineer in your household, you can check it out here. Disclosure: As a long-time Timberdoodle customer (30 years! 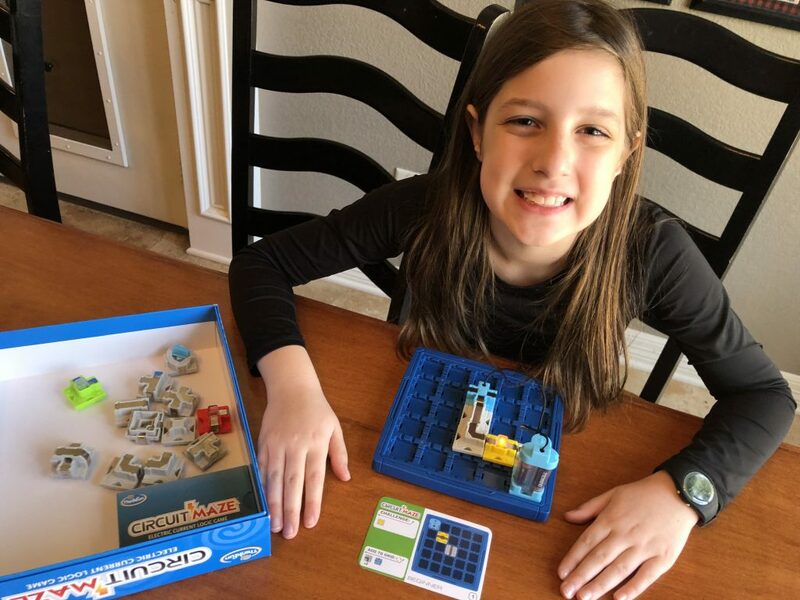 ), I was given a free 3rd grade curriculum kit at the beginning of the school year in exchange for reviewing the various components on this blog. However, the opinions expressed are 100% my own. PS: Timberdoodle is currently hosting their annual damage and closeout sale, so now is a GREAT time to shop!